This fall, Opera Memphis hopes to draw more Memphians to the world of opera with a series of initiatives, many of which will be centered around the legacy of Florence Cole Talbert-McCleave. If that name is a mystery to you, here’s a brief biography of the vocalist who made Memphis shine. 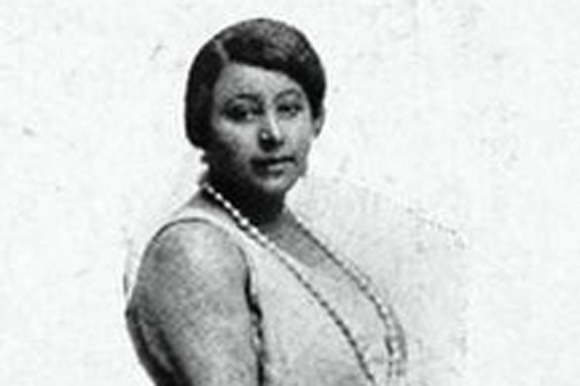 Born in 1890, Talbert-McCleave began her singing career in 1916. It was a time when African-American performers and artists often looked to Europe to profit from their talents. The Detroit native was no different. In 1927, while residing in Los Angeles, her opportunity came. Crossing the pond, the soprano performed to acclaim in London, Paris and Rome. Her trip was punctuated with a turn singing Aida at the Teatro Comunale, in Cosenza, Italy. Beginning in the fall of 2017, Opera Memphis will undertake new initiatives organized around the legacy of African-American soprano Madame McCleave. Then she returned to the states where her life settled down. By 1930 she was married to Dr. Benjamin F. McCleave. The couple moved to Memphis where she taught voice lessons, gave recitals and recorded. Although her stature was diminished in the States because she was a woman of color, she attracted other notable black opera stars to Memphis. They often performed at what is now LeMoyne-Owen College. There, black Memphians heard world-class operatic vocalists, which was something typically reserved for more affluent white audiences. “Today, few white Memphians know her story, but her former students still fondly remember her as the woman they would not dare call anything but ‘Madame McCleave,’” said Tierney Bamrick, Opera Memphis, commenting on the respect the singer commanded. That lingering respect is also why money from a recent grant is earmarked to fund the Madam McCleave Project. A highlight of the project will be Talbert-McCleave’s induction into The Memphis Music Hall of Fame. The McCleave Fellowship is a reimagining of Opera Memphis' Young Artist program, which is the artist-in-residence program established in partnership with the University of Memphis Artist Diploma Program. The McCleave Fellowship will be recruit singers, directors and coaches of color. Also planned is a performance of Gian Carlo Menotti’s The Telephone in targeted neighborhoods. The grant is funded by the Ann and Gordon Getty Foundation. Each year they dole out $1.5 million to OPERA America members to experiment and innovate. In a process that began in the fall of 2016, Opera Memphis got wind of their $28,000 cut on June 1. “We need a new way of talking about race in opera, addressing the way we cast singers on stage and confronting the racist underpinnings of some core works." “Thanks to the tremendous generosity of the Ann and Gordon Getty Foundation, our member companies receive support to pursue new thinking and experimentation to expand the boundaries of their current practices and adapt to an ever-changing field,” stated Marc A. Scorca, president and CEO of OPERA America. Much of the money will be spent reaching out to historically disadvantaged communities of color. 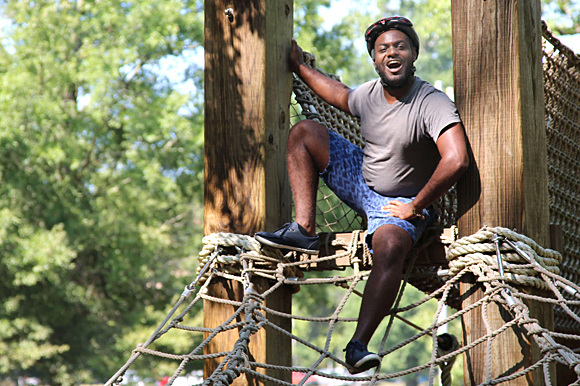 Together with a network of community partners, Opera Memphis will brainstorm strategies to connect with areas like Orange Mound, North Memphis and Frayser. “We hope to work with current partners, like Crosstown Arts and Carpenter Arts Garden, to convene a series of salons and conversations with members of their communities,” said Bamrick. The focus of the klatches will be race, its current place and history in opera. As America drifted into the civil rights era, opera followed suit. Contralto Marion Anderson became the first black person to sing at the hallowed Met in 1955. A year later Elvis began his black-Memphis inspired move on the attention of white American youths. Much like Jackie Robinson’s entry into major league baseball in 1947, talent trumped skin color. Doors opened for other singers of color. Race began to dwindle as a factor in opera and popular music. Nevertheless, many operas were reflective of a less enlightened past. “We need a new way of talking about race in opera, addressing the way we cast singers on stage and confronting the racist underpinnings of some core works,” said Bamrick. Opera Memphis General Director Ned Canty concurred. “Alongside caricatures about fat ladies in Viking helmets are some real issues, barriers to attendance that go back decades and are linked to historical injustices," Canty said. "Our goal is to find out what we can do to acknowledge that history, listen to the people most impacted by it, and use what we learn to change our company’s future." Opera is for kids, too. A yearly tradition as part of 30 Days of Opera, the "Playground King" is a family show that tells the story of four kids playing games on a playground. These discussions, which will begin in September during 30 Days of Opera, “must be driven” by the audience Opera Memphis hopes to appeal to, said Bamrick. “Not the ones already committed to our art form,” he added. Through dialogue, Opera Memphis hopes to achieve purposeful, incremental and meaningful steps to rectify historic and contemporary disparities in opera – in Memphis and throughout America. Opera Memphis has a history of outreach. In the 1990s through the early 2000s, these efforts often came in the form of performances at schools. Singers of color were highlighted. New operas were created that broke with racist underpinnings in traditional works. During Canty’s tenure, which began in 2012, a more holistic approach was taken. Now, the season begins with 30 Days of Opera, a month-long free-for-all opera festival throughout the Mid-South. The purpose of the extended kickoff is to end the notion that opera isn’t relatable. Lately, this has been achieved through street clothed performances often at unlikely locations around town like the back of a truck bed peeling through Overton Square. “We have experiences of connection on street corners, in parks, on buses, wherever people are,” said Bamrick. There will also be a free concert at the Levitt Shell on September 28. In the months that follow so do some of the old standards such as performances at schools, community centers, churches, synagogues and pretty much anyplace that has an interest in opera. This helps the company to remain connected to the community. The upcoming season also features the Midtown Opera Festival. For ten days, new and rarely performed operas are presented. They are often relevant to the times. The festival model also brings down the cost of tickets. The ArtAccess program brings a pay-what-you-can model to members who are interested in opera. “Our definition of success is that everyone in Memphis knows they are invited to the party, and that anyone who wants to come, can,” said Bamrick. Madame McCleave likely would have agreed.